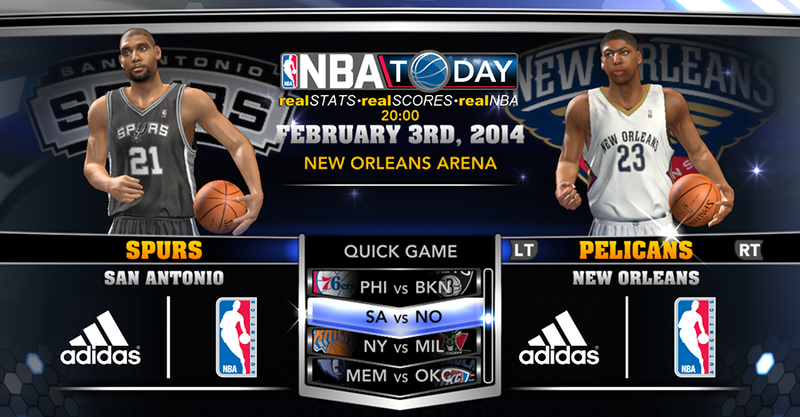 A new roster update for NBA 2K14 went live last night but features very little in the way of changes. The update focused primarily on adjusting the overall ratings and team rotations. Recent NBA transactions were not included in this update. Sasha Vujacic (FA) signed by the Los Angeles Clippers. Darius Morris (Clippers) signed by the Memphis Grizzlies. Andrew Bynum (FA) signed by the Indiana Pacers. Shannon Brown (FA) signed by the San Antonio Spurs. Cartier Martin (Bulls) signed by the Atlanta Hawks. To get this update, go to the features > 2k share > download. The game will then offer you the chance to download new rosters. Download the latest roster from 2K Sports, save it, and you now have your update. Make sure you load it afterwards. For next-gen users, go to quick game and select the latest roster from the menu.